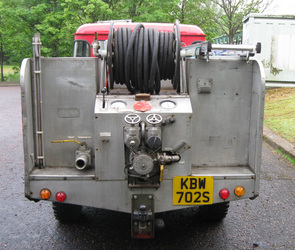 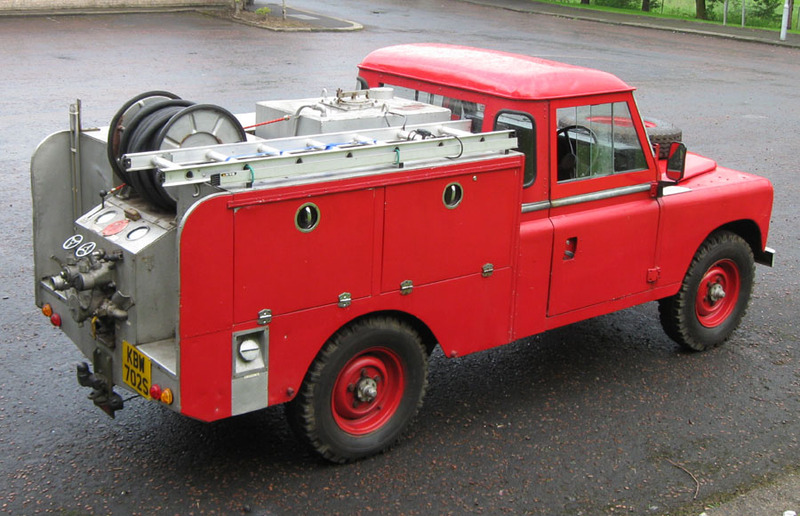 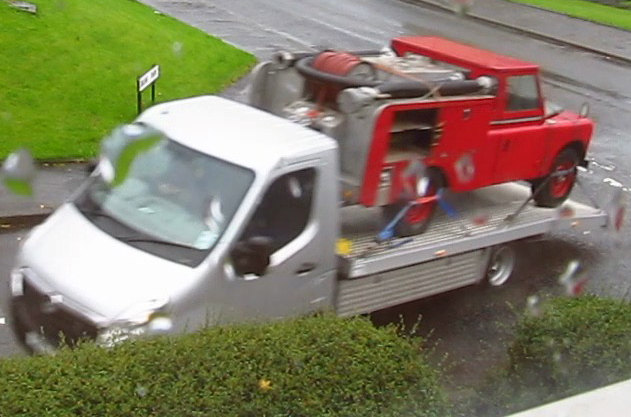 This was a HCB ANGUS stock appliance, in 1978 Courtaulds Works Fire Brigade were looking for a new Fire Engine, it was then adapted by HCB to the companys specification. 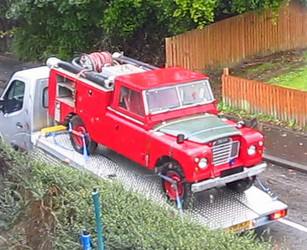 I am not sure why the Land Rover had a Low roof and the pumpbay was lower than the normal HCB built ones, I have no definate Courtaulds Location for where the Land Rover Served, I think it remained in service untill 2002, it then went into several owners and was at some point sold on ebay. 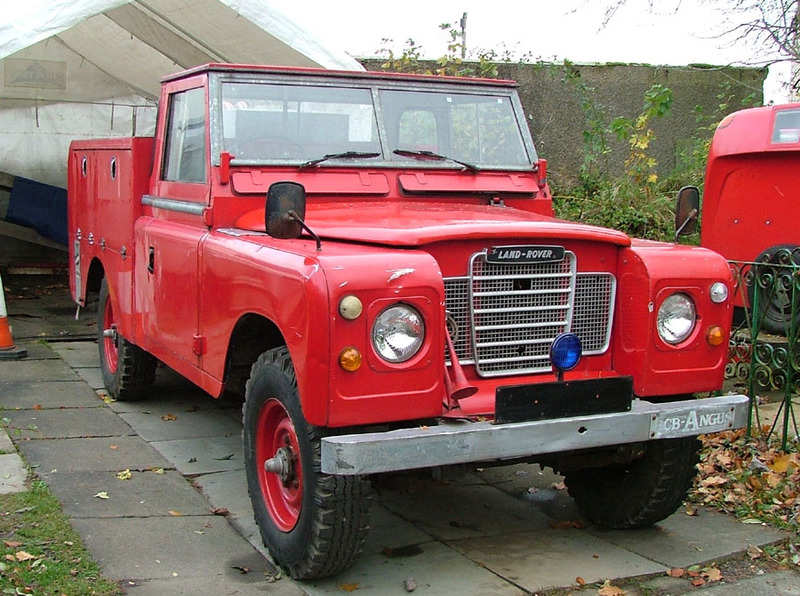 It was bought by a Land Rover collector in Norway, was shiped over to Norway where it lay in a shed under a motorway with alot of other land rover and in 2010 the collection was disposed of by Craddocks of Cannock in Staffordshire most of the collection was returned to UK, and sold at Auction in september 2011, I bought KBW702S for preservation. 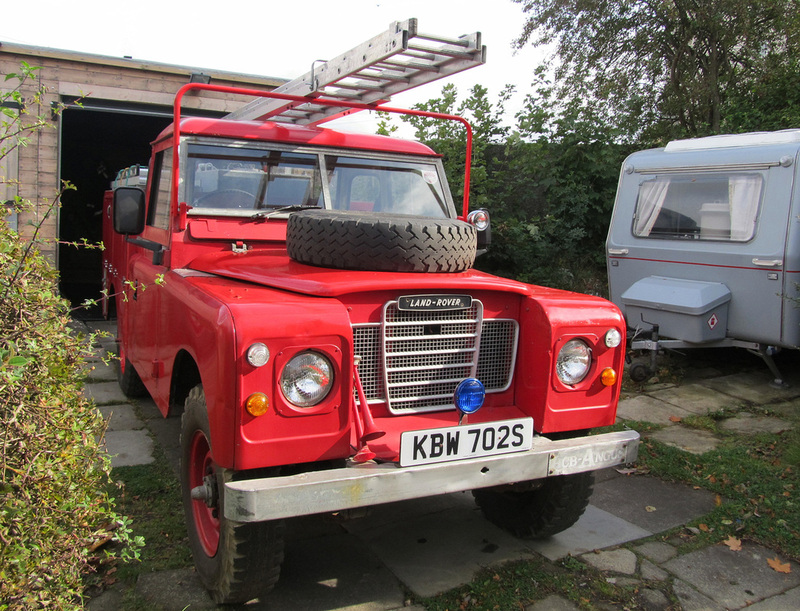 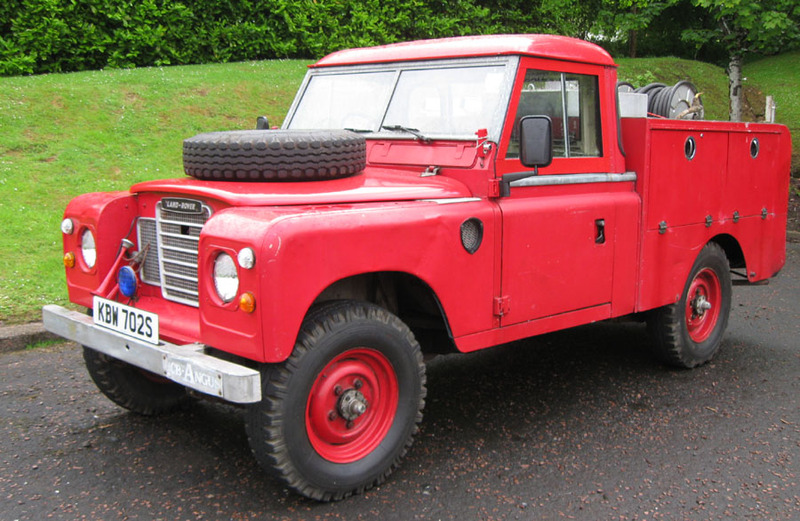 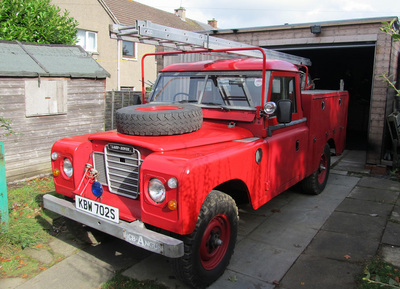 I have been woring on the land rover since I got her replacing the roof with a normal one as it was not practical to keep the original one as it was to low for me to drive, The Land Rover was MOT`D and should be attending shows soon.